Don’t judge a book by its title. Seriously. 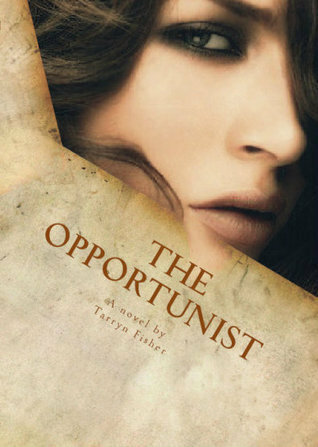 The Opportunist is the book version of Blair Waldorf from Gossip Girl: Manipulative, scheming, evil and she knows it, and very very passionate. This book sucked me right in the middle of a whirlwind of absolutely sweet and passionate romance. There hasn’t a chapter where I’ve been bored, or seemed dragging. I love how Olivia is smart, bitter and broken, and especially because she’s a scheming, lying, manipulative kickass female. It should also be noted that while she expends so much energy and effort into getting what she wants at the most backhanded of ways, it’s also a little contradicting how she cannot express how much she feels for Caleb until saying it became a weapon against him in itself. Also, I don’t believe in true love anymore after this book. Or at least, the happy version of True Love. Suffice to say, I thoroughly enjoyed this book. All these evil things they do for the sake of love is my brand of poison. Very remarkable.